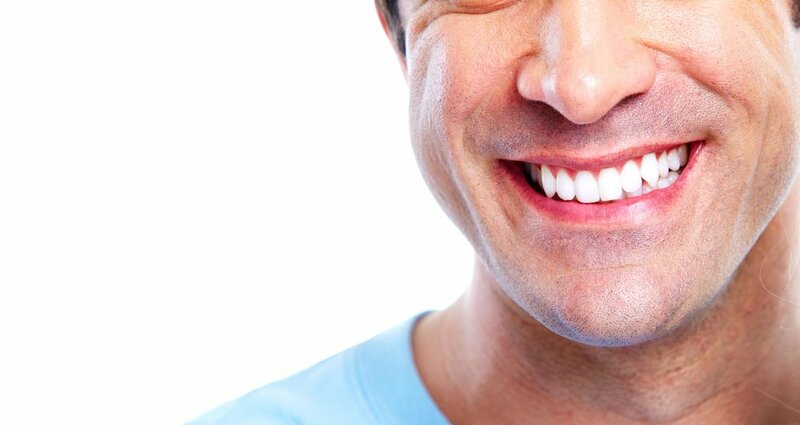 whitening is the most popular cosmetic dental treatment in Australia. This treatment uses gels to bleach the surface of teeth and cover up stains and discolouration, with no need for surgery or altering the shape of your teeth. Teeth whitening is considered a safe treatment when it's performed by a professional dentist and your teeth and gums are healthy. However, not all types of discolouration can be treated by teeth whitening. Your dentist will examine your teeth and try to find out what's caused your teeth to darken, so they can decide whether you could benefit from teeth whitening or another treatment such as porcelain veneers. Teeth whitening may be effective for covering up stains from tobacco and food and drink such as coffee, tea and red wine. If your teeth have been darkened or discoloured following an injury, as a side-effect of a health problem or medication, or for other reasons, teeth whitening may not be an option. Teeth whitening can only lighten natural tooth enamel and won't change the colour of dental restorations such as crowns, bridges, fillings or veneers. Professional teeth whitening performed by your dentist uses a much higher concentration of whitening gel compared to home treatments. This is what allows treatments to be completed in a single visit. Treatments using more than 6% hydrogen peroxide or 18% carbamide peroxide can only be used by a registered dental practitioner in a clinical environment. Your dentist will explain what the treatment involves during your initial consultation and will assess your oral health to check that your teeth and gums are healthy. If an oral health problem such as tooth decay or gum disease is present, they'll advise that this is treated first before performing a cosmetic treatment, as it could affect your results. At Morgan Street Dental Centre, our experienced cosmetic dentists offer laser teeth whitening using the Philips Zoom! system. This involves applying a bleaching gel to your teeth which is activated by a high intensity light. Our dentists will place retractors to make sure the whitening gel doesn't contact your gums, cheeks and other soft surfaces of your mouth that could cause injury or pain. If you have sensitive teeth, a desensitising agent may be applied before the treatment, or your dentist may suggest a home whitening treatment that uses a lower concentration of gel. Are home teeth whitening kits safe? Many teeth whitening products are now available from pharmacies and other stores in Australia, but it's not recommended to use these kits without the guidance of a dentist. The ADA advises having a consultation with your dentist before any cosmetic treatment and using a kit they provide or recommend. Improper use of self-administered whitening treatments can cause injuries, discomfort or uneven results. If you prefer to whiten your teeth at home, your dentist will still assess your oral health and make sure you understand the possible risks and have a realistic idea of your treatment outcome. They can then take impressions of your teeth which are used to create custom whitening trays, offering more even coverage of your teeth than a generic kit bought from a store. Your dentist will instruct you how often to wear your trays and for how long to achieve your desired results, usually within 1-2 weeks. This can be faster than store-bought whitening kits and pastes, which often take longer to produce a minimal effect. The ADA also cautions against alternative and anecdotal remedies such as rubbing your teeth with bicarbonate of soda, lemons or strawberries, as these are unlikely to produce results and could damage or irritate your teeth and gums. If you want to know more about teeth whitening in Wagga Wagga, book a consultation at Morgan Street Dental Centre. Our team will explain what the treatments involve and give you a smile assessment to check whether you're a candidate for in-chair or home teeth whitening. Call us now on 02 6921 9500 or contact us online.